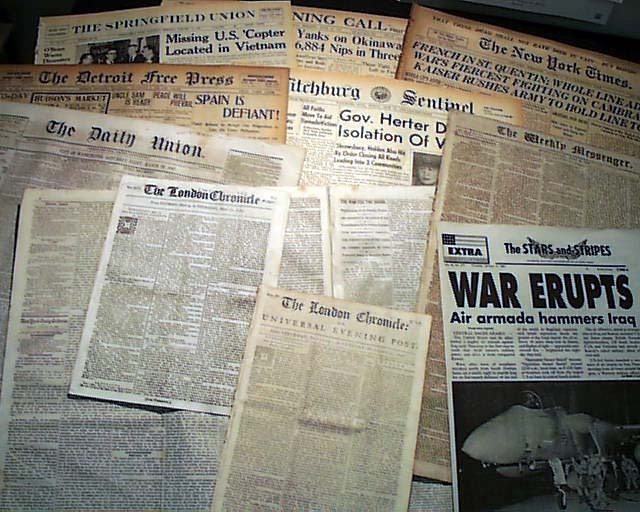 The earliest two are British; all others are American newspapers in good condition and having war content. A unique opportunity for newspapers with period reports from all eleven American wars. If ordering folders for this set, we recommend at least four 24x18 folders.